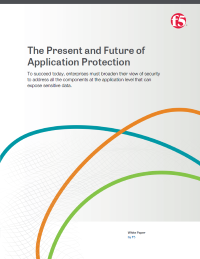 This white paper looks at how security measures must be enhanced to ensure apps are secured everywhere, the investments organizations must make, and why security needs to be more focused at the application level. In today’s application-centric world, organizations offer applications with data access to employees and consumers to drive greater productivity, meet business demands, and ultimately achieve a competitive advantage. But at the same time they’re introducing ever-increasing risk as access to data comes from anywhere and everywhere, and visibility and control are reduced. Traditional approaches to application security, while part of the security puzzle are not the whole picture, as the old security perimeter dissolves and more endpoints fall outside the conventional network footprint.